Cllr Thomas Redmond has said that he has been contacted by three or four other councillors who may also be considering leaving. THE LABOUR PARTY has been dealt a blow with the news that yet another councillor has left the fold – this time to join Sinn Féin. 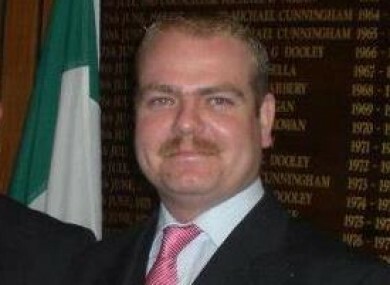 Chair of Athy Town Council Tom Redmond has announced that he has resigned from Labour and joined Sinn Féin. His profile is no longer on the Labour website, and Cllr Redmond told TheJournal.ie that he officially joined Sinn Féin on Saturday. Though he has been a member of the Labour Party since 2003, and was elected as a councillor in Athy in 2009, Redmond said that he had been struggling with his feelings about Labour since March of this year. He said that the only viable option for him was to join a “forward-thinking Republican party like Sinn Féin”. He becomes one of more than a dozen local councillors to have left the Labour Party since it went into coalition with Fine Gael, in addition to five TDs and one MEP. The married father-of-three said that his issues with the party stemmed from the promises made by Labour in its Programme for Government, and “the lies, the broken promises”. He said these include increasing tax burdens, the property tax, and water charges that have been introduced since Labour came into power. He said that Labour are not addressing issues on the ground such as some parents being unable to feed or clothe their children, which he knows is occurring in his own town. Cllr Redmond said he has written to the Labour party leader Eamon Gilmore, and has spoken to TDs on the issue. However, he had not spoken to his Labour colleagues on Athy Town Council about his decision, and said that they had last met in March for a branch meeting. Regarding Minister Pat Rabbitte’s comment on the breaking of election promises earlier this year, Redmond said “that was an extremely poor day for being a member of the Labour Party”. Asked if other councillors were contemplating leaving the Labour Party, Redmond said: “I have been contacted by three or four other Labour Party councillors in the country” who have “told me they are on wobbly legs at the moment”. The town council chair said he did not join Sinn Féin with the intention of running in the upcoming local elections. Redmond said he believes he has a lot to offer Sinn Fein, which he joined because it is “grassroots-led”, a party that is “honest” and “follows through with promises they make”. Redmond said he sees Sinn Féin as “offering credible opposition” and envisages the party in government in the future. Email “Chair of Athy Town Council resigns from Labour, joins Sinn Féin ”. Feedback on “Chair of Athy Town Council resigns from Labour, joins Sinn Féin ”.